Yay, it's download day! Just in time for my planned home lab rebuild. Some minor features are new, some stuff is just fixed, so be sure to start with kicking off those big downloads then reading the release notes. Oh, yeah, back up all your stuff, before you consider updating. 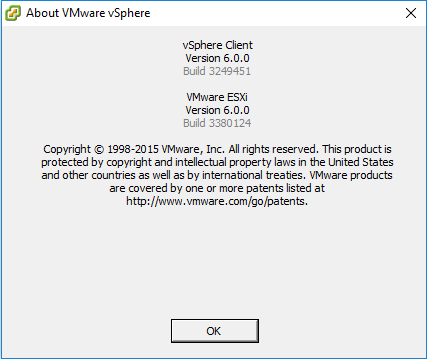 And you are supposed to update your vCenter Server Appliance (VCSA) before you update your ESXi hosts, as VMware explains how here, and William Lam here. Once you get signed up for your EVALExperience and make payment (it comes free with VMUG Advantage) membership, you'll get license keys and instructions for downloading. You have 60 days to "play" with ALL features working during this trial period. To keep things easy, you should apply the license key before the 60 day trial ends, and it will then restrict you to only EVAL Experience features. Note, there is no VMware support included with EVAL Experience. The ESXi 6.0 Update 1a ISO readily available for anybody who registers for a My VMWare account, or has EVAL Experience. Not U1b. That's right, you'll only be able to get the latest release after about 60 days have elapsed. This is annoying. 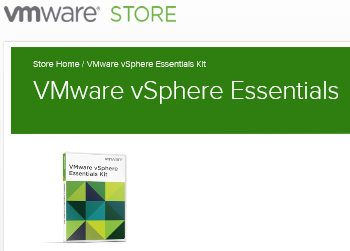 An alternative would be to buy vSphere 6.0, detailed below. Once you get the ISO, you'll want a way to make it into a bootable USB drive for your install, or using Supermicro gear, just use the web based IPMI/iKVM Console Redirect, to mount the ISO, and install to your USB flash drive from there. I don't have instructions for proper ISO injection of 3rd party drivers like AHCI or Realtek into this ESXi 6.0 Update 1b. Stay tuned to VMware Front Experience for more info. Luckily, the SuperServer Bundles don't require any VIB injections for a basic install, and the optional easy activation of the Intel X552 10GbE interfaces can be done later. The VIB for NVMe that ESXi 6.0 Update 1b includes works fine with the Samsung 950 PRO M.2 NVMe SSD, for example. These files are available to all license types (commercial, EVALExperience, trial, free). VMware-viclient-all-6.0.0-3249451.exe (VMware vSphere Client - Windows installer). You can install this first, since it's backward compatible with prior ESXi and VCSA releases. 4) A variety of issues may strike, you will (probably) prevail! Drop us a comment below to let us know how your download is going! I've gotten tired of having to wait up to 60 days with every single point release of ESXi, to be able to have permission to get to the latest download. I don't see EVALExperience showing any way to help you get to the latest bits either, unfortunately. The suite of products you have access to with EVALExperience is amazing, but note that there is no support. And you can't buy per-incident for it either. That's right, it's considered trial code. So, tonight, I am fed up with having to wait around to get the latest code, and I'm about to rebuild my lab and want my new videos to feature the very latest procedure. It's a huge investment of my time and effort, and I'd rather it not require updates or addendums within days of its arrival. Within a month or two, anybody with any sort of My VMware account will be able to get 6.0 Update 1b anyway, even if they never bought a license, and are just using the 60 day trials, or extended to the free edition. 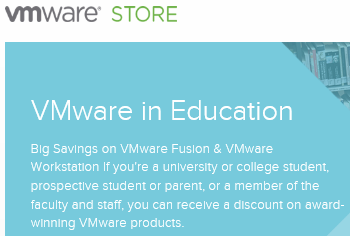 I'm glad to report that yes, buying the Academic discounted vSphere Essentials seems gets me the conduit for support I've longed for, for over a decade now, having access to no licenses of my own. See also Terms & Conditions. I've cleaned up the sections above considerably since this article was first published, and refer to my new articles about upgrades.